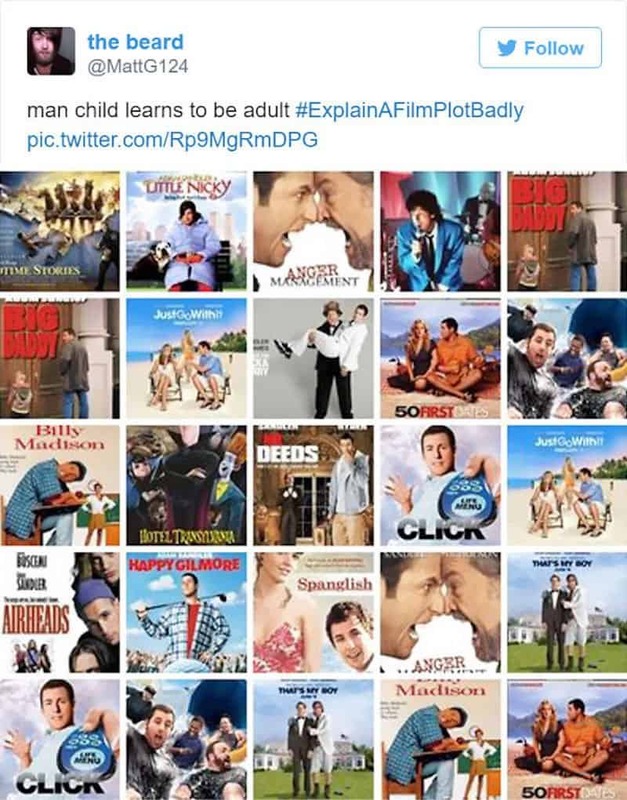 Watching movies is one of the greatest pastimes people of the modern era have. They get to watch fantastical worlds unfold in front of their eyes. 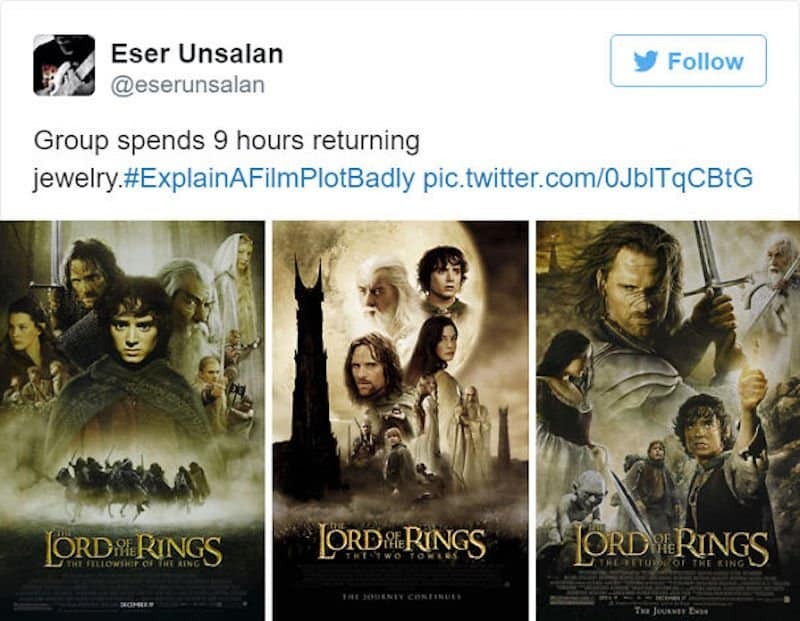 While these movies are often given awesome trailers and brief synopses that explain what they are about, it is the images in this list, and their hashtag #ExplainAFilmPlotBadly, that explain movies the way they should be explained. 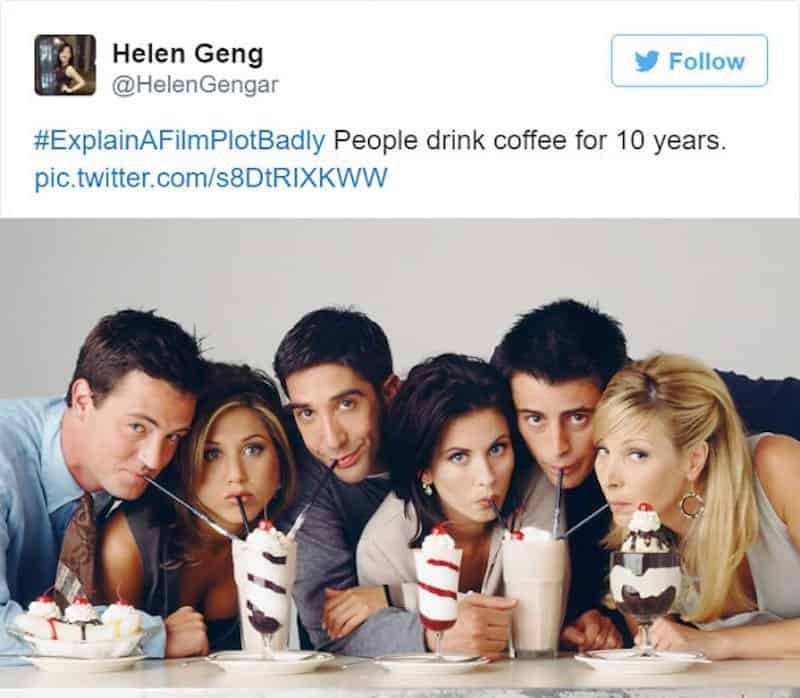 So, if you want to see some hilarious explanations for popular movies, or have some of your own, read on and let us know! 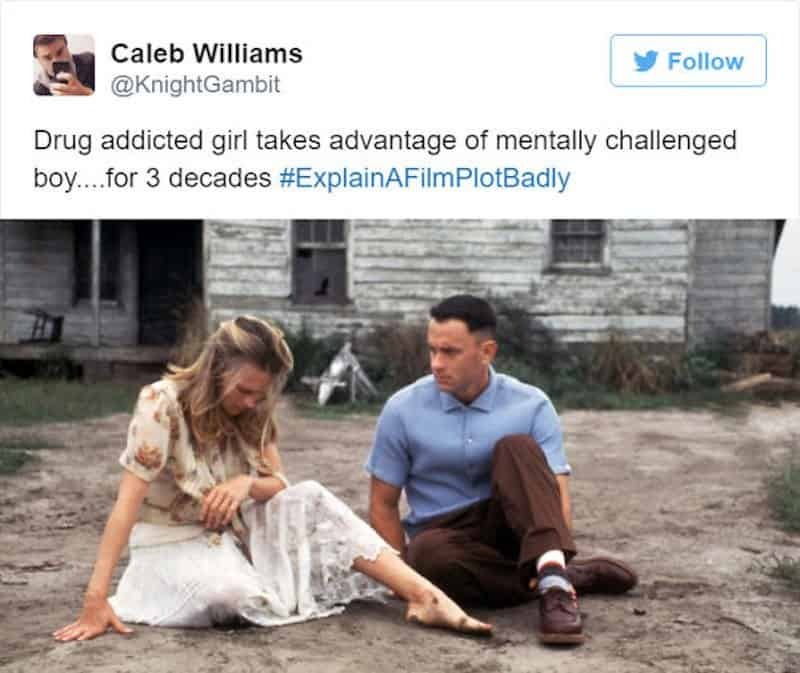 What a great way to explain Forrest Gump. 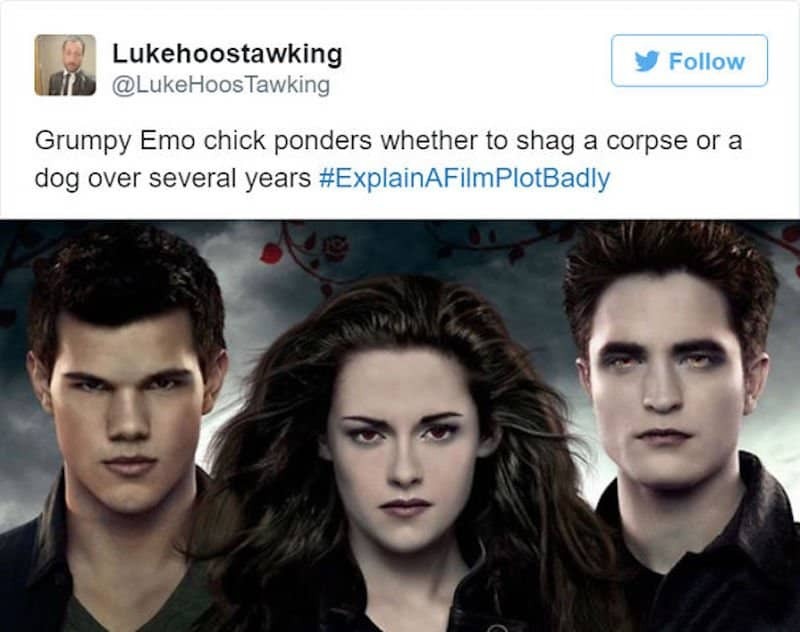 We just love this explanation of Twilight. 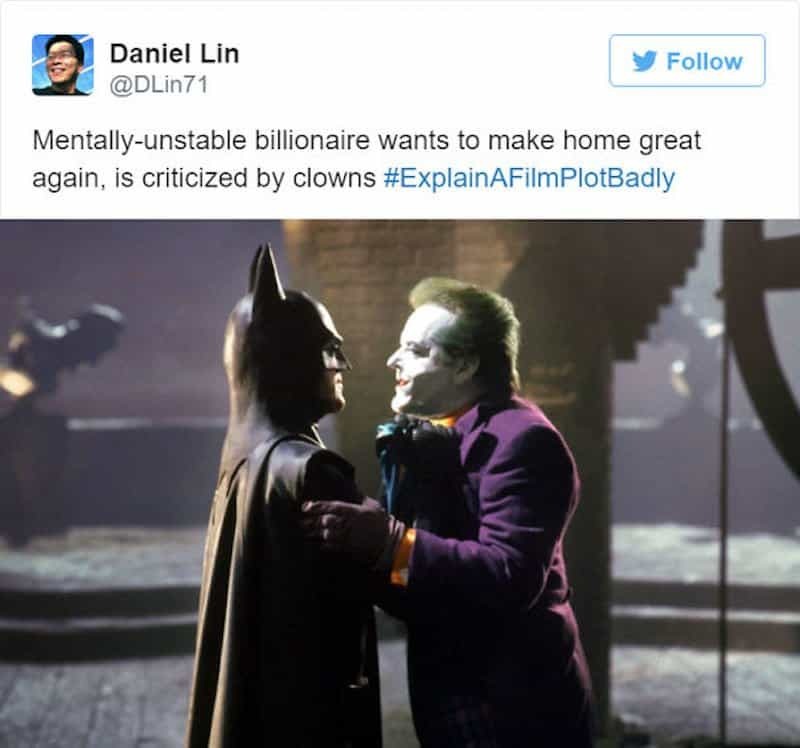 Well at least we know Batman is mentally-unstable. That’s a very long time returning just a ring. 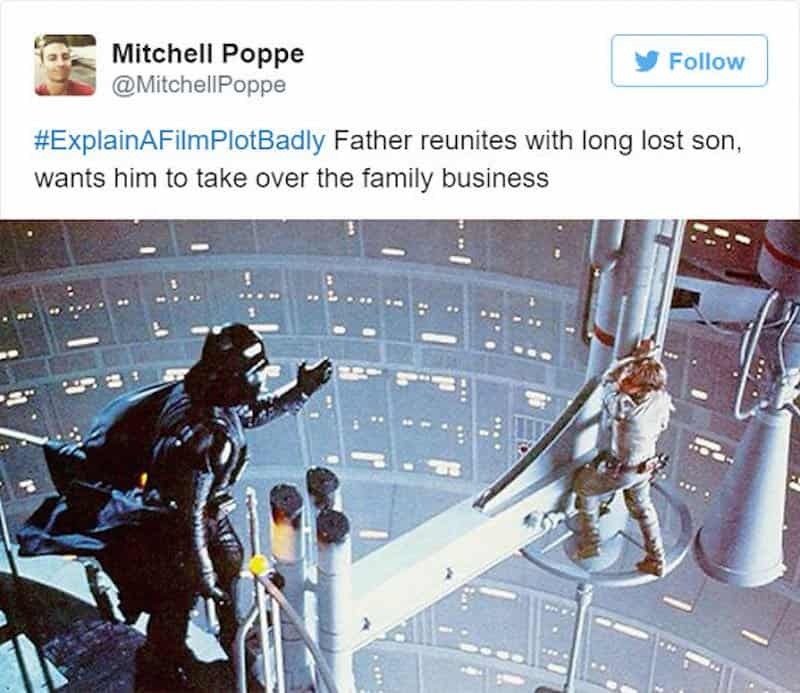 Well in the end he does take over the “family business”, doesn’t he? Doesn’t Harry feel awkward third wheeling for that long? 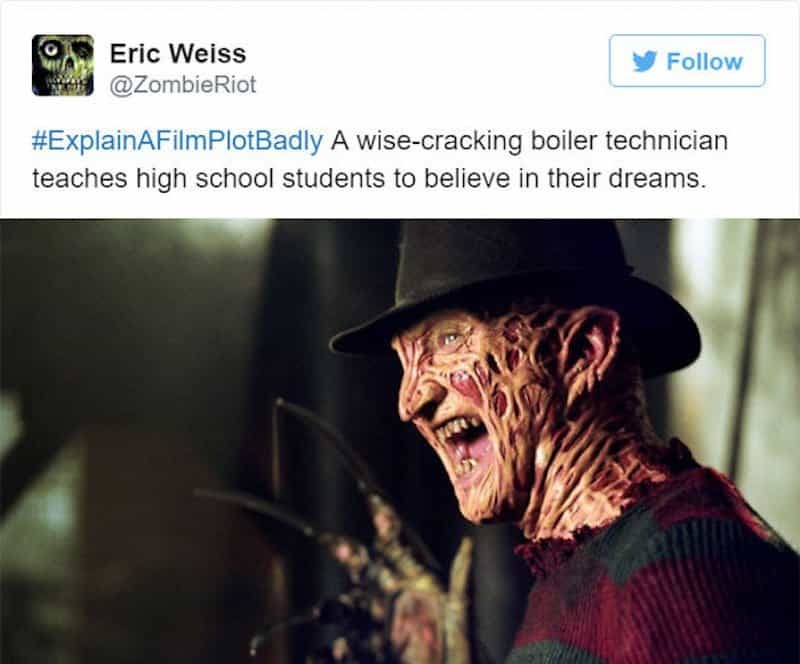 This actually isn’t the worst way to explain Nightmare On Elm Street. 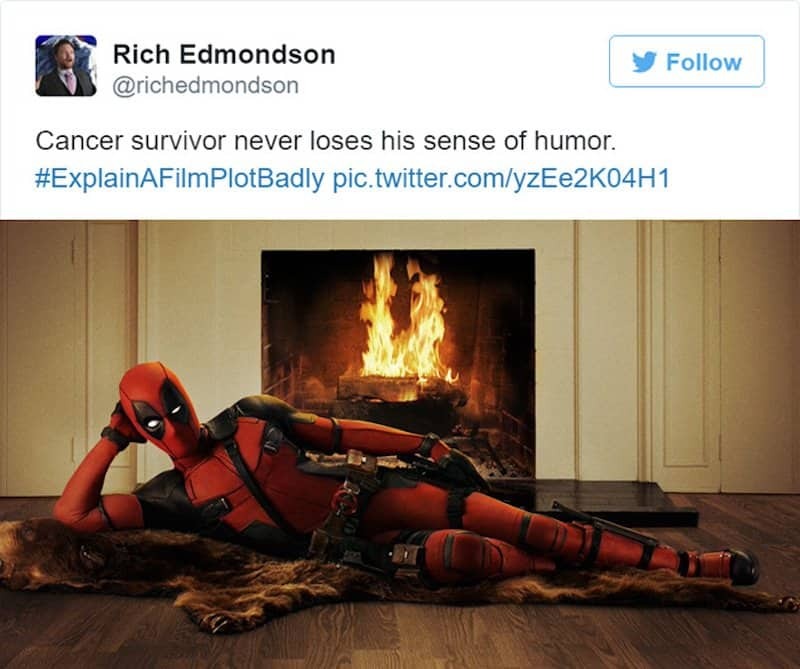 Well it’s true, he is a cancer survivor who is hilarious. 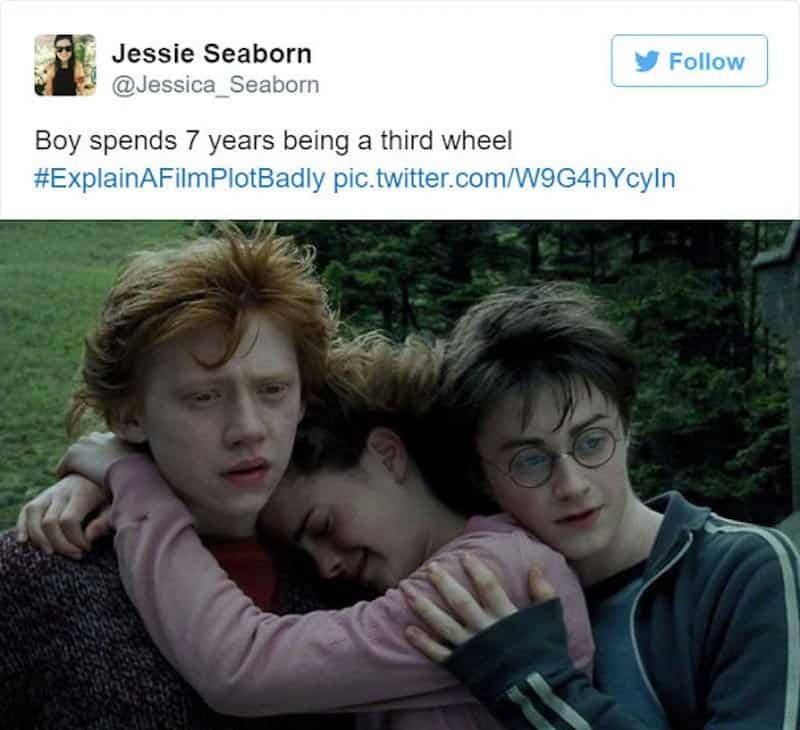 We never realized this, but it is definitely true.